Planetary scientists have found what they think is a smoking gun proving that the planet Venus is geologically alive—volcanoes in the act of erupting lava. Short-lived pulses of heat energy, sensed through the planet's thick atmosphere by the Venus Express spacecraft, are explained as the red-hot glow of active pools and flows of molten rock. Venus is often called our sister planet, being much like Earth in its size and rocky composition, but it's more like hell than Earth. Its atmosphere is a thick blanket of carbon dioxide topped with a haze of sulfuric acid that completely hides the surface from view. The greenhouse effect from this atmosphere makes Venus hotter than the fiercest pizza oven, at about 850 degrees Fahrenheit. The air pressure on the ground is like being 3,000 feet deep in the ocean, and the CO2 gas is so thick that spacecraft have fallen through it to land without needing parachutes—although their electronics quickly failed in the searing heat. 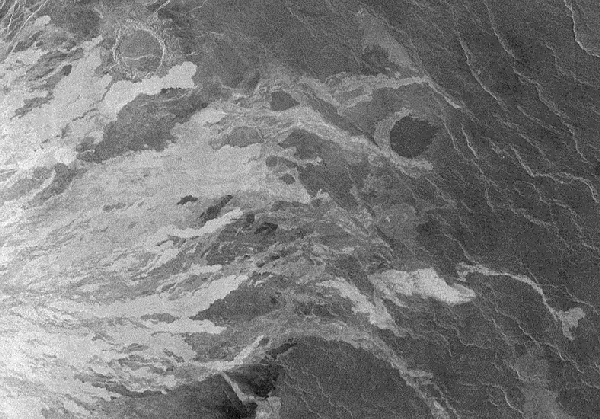 Between 1975 and 1982, a handful of Soviet landers made the only visible-light images we have of the surface of Venus. All the pictures show a landscape of volcanic rocks. Between 1990 and 1994, the Magellan spacecraft used radar to map the surface of Venus in detail. We've learned that, other than some impact craters, the surface consists entirely of different kinds of lava. The volcanoes responsible range from little domes to sets of huge fractures thousands of miles long. So we know Venus is covered with lava, most of it looking fresh. The Soviet landers recorded lightning and thunder, typical in volcanic eruptions. And satellites have detected short-lived pulses of sulfur gases in the atmosphere, also typical of eruptions. 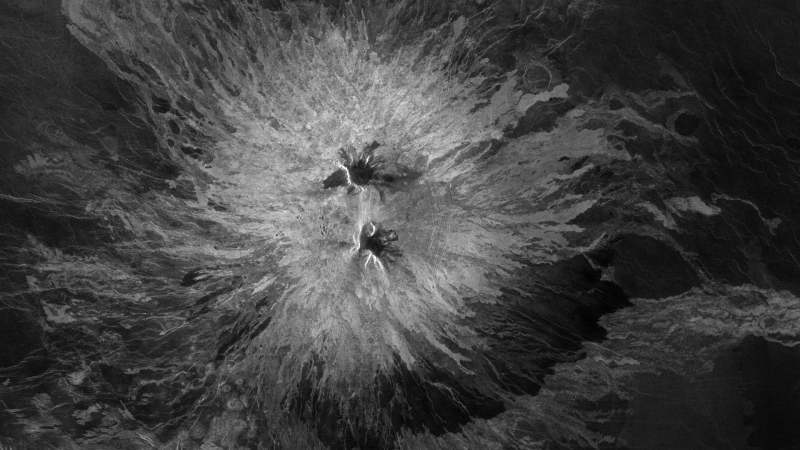 It's a safe guess Venus didn't stop all of its eruptions, forever, just yesterday. However, to be sure volcanism is really happening today on Venus, science wanted a clincher. In a new paper in the journal Geophysical Research Letters, a team led by Eugene Shalygin of the Max Planck Institute for Solar System Research presents direct evidence of erupting lava in a large set of fissures named Ganis Chasma. The evidence was recorded by an infrared camera on the spacecraft Venus Express, launched by the European Space Agency in 2005. Before ending its work late last year and burning up in the Venusian atmosphere, Venus Express used its camera to study the planet at night. The orbiting camera was sensitive to infrared light at wavelengths at which Venus's atmosphere is somewhat transparent, but the pictures were like watching a scene through heavy, blowing fog. 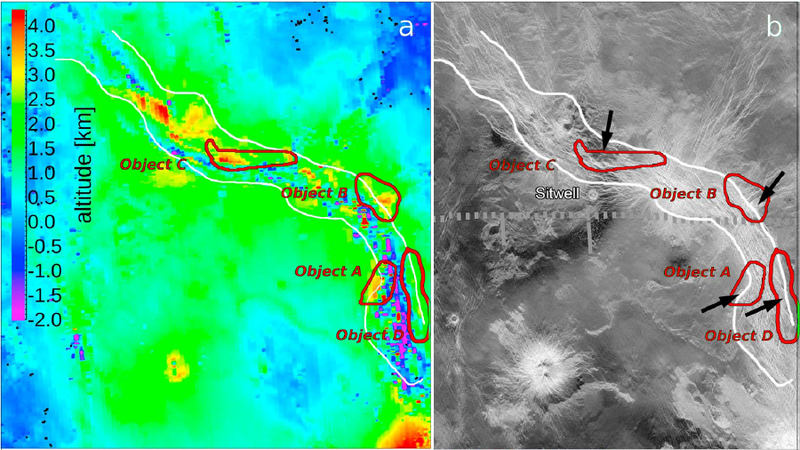 Nevertheless, it detected four different places in Ganis Chasma that were slightly hotter than their surroundings. During earlier and later visits, these hot spots were absent. Shalygin and his five coauthors systematically eliminated camera errors and other explanations. They calculated that a fairly small pool of lava, maybe the size of Hawaii's Halemaumau crater, could look like a large patch of slightly warmer temperature when seen through the blurring atmosphere of Venus. A larger flow of lava, cooling down after its eruption, would do the same. The Ganis Chasma eruptions appear to resemble basaltic fissure eruptions on Earth, like those of the volcanoes of Hawaii and Iceland. 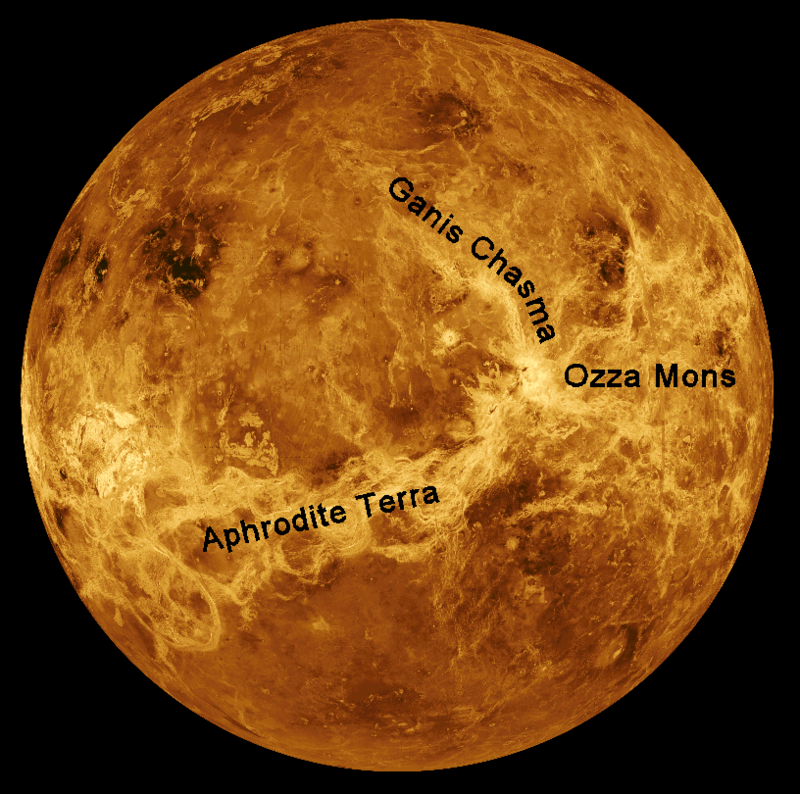 Here, lava flows may take years to cool down, but the hot spots on Venus disappeared in a matter of months. The authors speculate that the dense atmosphere cools the lava quickly, just as seawater does on Earth. The authors recommend that we keep a close eye on Ganis Chasma and Atla Regio, the larger volcanic region of which it's a part. Of course, there are no spacecraft at Venus at the moment. Twenty years after the Magellan mission, our current radar technology could map Venus as well as we're mapping Mars in visible light. But scientists have had no luck getting a new radar mapping mission off the ground. Venus researchers, like all scientists who rely on spacecraft missions, play a high-stakes gambling game as they make funding proposals to two major sponsors: NASA and the European Space Agency. ESA just finished choosing its next set of medium-class missions, and Venus lost out in that round. Now NASA is considering 28 proposals for its next round of Discovery-class missions, and there are said to be four Venus proposals in play there.